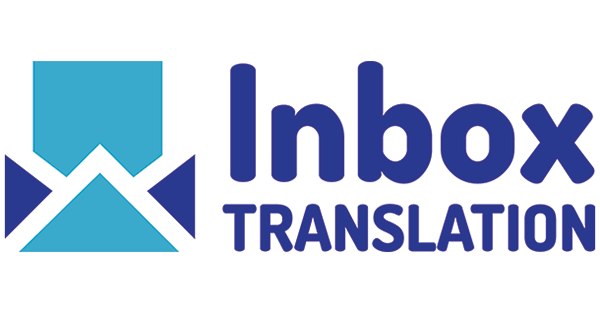 Inbox Translation is a London-based online translation business that offers their services in over 60 different languages. They employ a strictly human-based model for their translation work along with high standards for their staff. Their online ordering and quoting system is clear and efficient, although, unlike most of their competitors, it is not located on the front page of the website. Inbox Translation offer three services in addition to translation, namely; interpreting, proofreading and localization. Interpreting is offered in the UK only, as this service is delivered in person. Within translation, Inbox Translation specialize in several common industry sectors and some less common, including literature and education. In terms of the demands on the translators and complexity of the work, literary translations can be some of the most challenging in the industry. Expert translators need to understand the culture of the target language, as well as the artistic and indigenous literary influences. Another demanding area for translations is education — a sector in which there is much complex content to deal with. Textbooks, academic papers, reports and research studies are a few examples of the typical formats in this space. For authors of educational papers losing the impact or uniqueness of their work through substandard translations can be costly. The professionalism of the piece can be easily undone through a poor bibliography and Inbox Translation’s team of experts can help avoid these common pitfalls. The tourism sector is a huge part of the translation industry, however Inbox Translation focus more on the marketing and social media elements of the mix for all hospitality-related companies. Avoiding marketing slip-ups, ensuring the brochure captures the heart of what the hotel offers or promoting a tour with the perfect use of localized terms are all reasons why companies need to choose specialists in this space. They clearly state on their website “No machine translation, no crowdsourcing, no amateurs”. Inbox Translation do use a mix of computer aided translation (CAT) on specific projects to ensure consistent use of terminology though. Their pricing is not transparent unless customers follow through the order form online to receive a quote. 1000 words of English to French in the ‘general’ subject category produced a a quote of £100, or £0.10 per word, which is a higher rate than many of their competitors. The same project is quoted at £130 for translation and proofreading. It’s difficult to understand the Inbox Translation company structure beyond the senior members of staff. Most operators in this space promote the number of translators working for them, but this is not the case with Inbox. They have positioned themselves as a smaller, more specialized option by not promoting the size and breadth of their contractor workforce. Inbox Translation is a well-rounded online translation and interpretation business. They are a niche provider that specializes in some very technical and challenging areas, so companies and individuals looking for education or academic translations will be well matched. Their pricing is above the average for general work and this might be off-putting to potential customers. Education is so impressive today! If more people are educated in this field then we would have more translators. I think this is important because the starting foundation is education.